Famous people born on NOVEMBER 9 are Scorpio who are a natural at writing or expression. This could be done in a number of ways but they tend to like to do things that don’t require other people. For the most part they are private people which makes them somewhat mysterious. Being this way, they don’t mind telling people off and to stay out of their business. Their work ethics are great. However they like to be in control at all times over every aspect of their job and sometimes, other people’s jobs as well. They can be guilty of doing too much. The November 9 famous celebrities have a lot of hobbies that they can turn their attention to. Thus their career takes off with financial stability and the possibility of endless growth. Promoting themselves has never been a problem as they are creative in more ways than one. Some people just don’t understand them but it’s okay… there are others that totally get them. 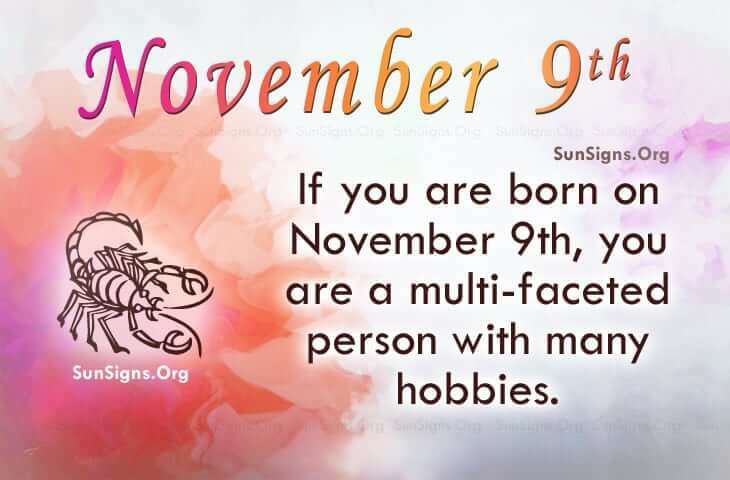 Famous people born on NOVEMBER 9th like being by themselves. Most artists like to be free, as do you. But they can be biased. However, they care about others to the point, they act as their friends and family’s therapist. Professionally, this could be their forte.